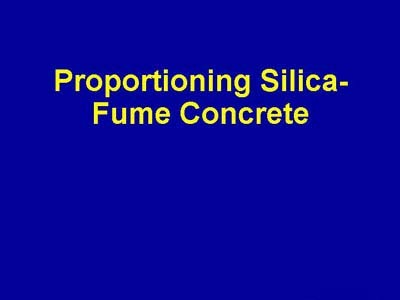 This section of the presentation discusses proportioning silica-fume concrete. General rules for proportioning and a step-by-step procedure are presented. Additional slides for the projects represented here may be found in the Projects Chapter of the presentation.